Technological developments are at full speed these days. What’s new today is conidered standard tomorrow. 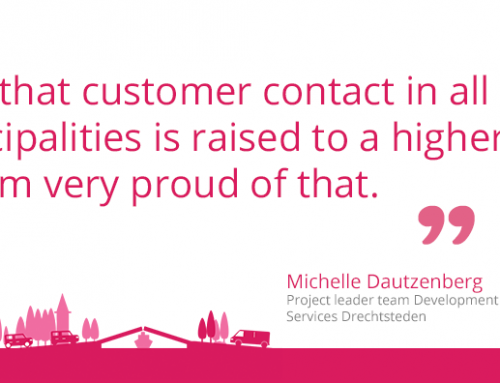 Good to regularly dwell on customer contact trends and new developments. 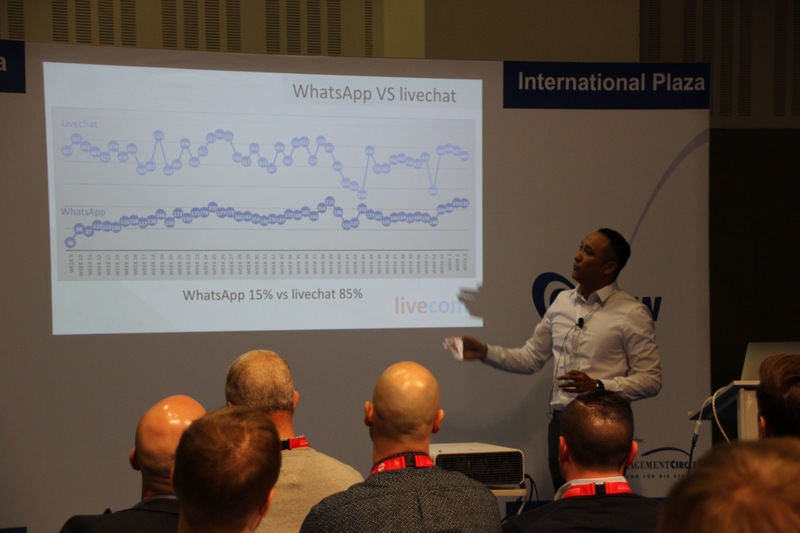 In February and March 2017 Livecom participated in two international conferences for the contact center and mobile industry. We would like to share the trends and developments that will be of influence the coming three years, in relation to contact centers and customer contact. The European CCW in Berlin (Conference & Trade Show for Customer Service and Contact Centre) is a must for the contact center industry. CCW is a conference for all (major) contact centers and suppliers. Livecom presented her case “WhatsApp and the city, success or failure” at this fair. A case on how citizens app with Municipality. We received enthusiastic responses to the presentation, including some critical questions about security and privacy with the channel. The Mobile World Congress is the world’s largest conference for the mobile and telephone industries. Livecom teamed up with sister company and partner Artilium at the Belgium Pavilion to participate in this conference. The customer contact systems in the cloud are gaining further marketshare. Larger companies now opt for solutions in the cloud. Where before systems were installed on premise at the customer, nowadays the advantages of the cloud are becoming larger and more obvious. Think of the savings on maintenance and investment in hardware and software are much lower. These benefits are most obvious for international companies, which use a customer contact system in several countries. 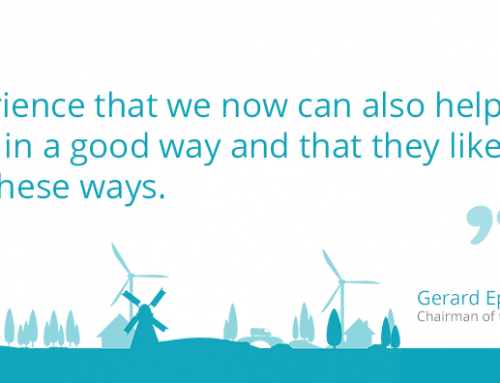 Such as Philips, applying the system in 22 countries. Instead of 22 on-site systems, they now have one Livecom cloud solution. Where previously omni-channel was just a buzzword, nowadays you see that it is gaining shape. New ways of proactive customer service are developed and used because of all the increased possibilities of the new technologies,. Both contact centers and suppliers such as Livecom have “omni-channel” high on their list, and are becoming increasingly involved. An interesting case of a smart refrigerator was presented at the CCW. This is a nice combination of IoT and omni channel in its best form, where you will see an increased level of proactive customer service. This also creates a nice bridge to the Mobile World Congress where the focus was on the Internet of Things (IOT). Connected devices to the Internet in order to offer even better and easier customer service. Ranging from the connected toothbrush and refrigerator to the connected car that gives all sorts of messages from and to the garage. Like what date it’s possible to come in and refill the oil. The smart fridge automatically tracks all service related issues. When it is time to change the water filter, the refrigerator provider will be notified and the customer can be approached proactively to make an appointment for replacing the filter and receive an alert. A wonderful example of the integration of IOT and customer service. It is also evident that more and more companies are experimenting with self-service applications on the Web. Remember the chatbot, but also a smart knowledgebase combined with AI. They become truly new possibilities of customer contact and mainly the larger companies with bigger budgets, experiment with this. Google is very advanced in developing a comprehensive virtual assistant for all kinds of applications. From helping with your groceries to keep track of your schedule. This is an important trend for the customer service to keep an eye on because it has a strong link with the self (web)services and smart knowledgebase. And these developments will continue forward. The central question in this case is “how can I help my clients even better, without the need for an agent for every question.” Which fits seamlessly with the omni-channel concept. Curious about the entire case of the City ? With reports and statistics, the most discussed topics and results and conclusions? We would be happy to present it to you. To make an appointment just call us on +31 88 5483200 or send an email to sales@livecom.com . In omni channel refers to the brand experience of a customer. It does not matter how a customer comes in contact with a company, through which channel, he always gets promised the same experience. Whether he is in contact with a customer service department or the marketing department, they know all about this customer to help him perfect.